K088 Bluetooth Microphone Speaker is a wireless bluetooth microphone,connect with smartphone or tablet or computer by bluetooth. 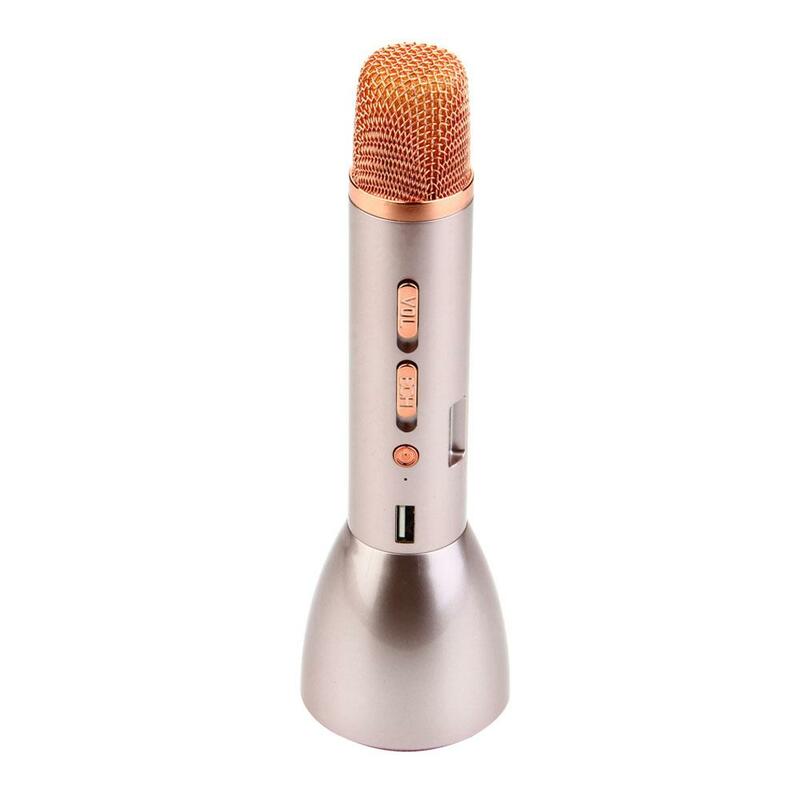 K088 Bluetooth Microphone Speaker is a wireless bluetooth microphone,connect with smartphone or tablet or computer by bluetooth.Then you will enjoy the fantastic music world by yourself. It can support the fantastic reverberation,low sound and high sound. • Fantastic eletronics toys for your children with early language learning, telling stories, practicing songs more funny and easier, also ideal for birthday party, family karaoke, which makes you sing anywhere and anytime leisurely. 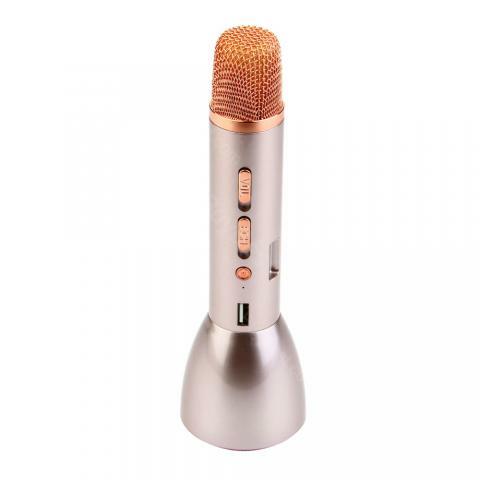 • It’s work Independently without extra power cable connection, can sing for 4-5 hours with 2600mAh rechargeable battery. Repeatedly charged it without replacing batteries. • The metal capacitor grill design will protect microphone-core, and built-in sponge will improve noise-cancelling effect which makes the audio sound perfect. • The speaker also can play your music from the TF card included with MP3 format. It is a 3+ years old child can easily hold it and sing without the need to keep it hooked anywhere. • Compatible with almost all bluetooth devices in the market, easy to operate and pair. You can also connect the music player with 3.5mm audio jack. Supports most karaoke software, no drive required. 노래방 반주에 맞춰 노래를 부르니 애들이 신나하네요. 놀러갈때 차안에서 딱인듯해요. 소리도 크고 좋습니다. 아주굿이예요.반신반의로구매했는데.. 모든완벽해요.배터리도 오래가고, 낮에아이들이랑노래불면서시간가는줄도모르고지내요. 잘사용하겠습니다.